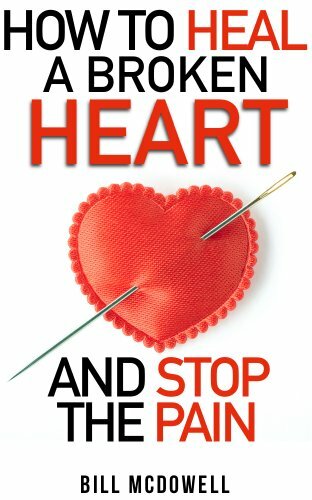 Dealing with a breakup lost love equals broken heart find out the best way to handle it and make the breakup better, improve chances of love and maintaining the love you deserve. The magic of a loving relationship is wonderful not to mention something everyone wants to achieve to feel happy and successful. When a relationship doesn't work out it makes us feel like a failure. Love is like everything else worth doing failure is a way of learning what not to do and by examining the breakup, staying calm and learning from it future relationships will be better. Anytime the one you love unexpectedly chooses to end it you feel blind sighted and rightfully so. Obviously the person breaking up has had time to think this through and get it worked out in their head. The planning makes them better prepared to handle the breakup. 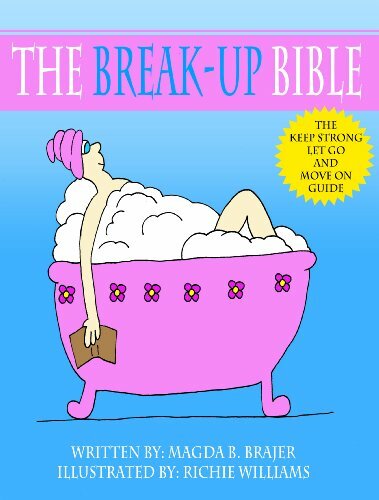 The one breaking up is in a more secure and stable state of mind than you, the one being dumped. Take a step back, take a deep breath and give yourself some private time to process the situation before engaging in conversation with the person leaving you. Do People Lie About Loving You? The cold hard fact is this, many people are quick to say they love another when in fact they do not, they may be in love with all the relationship brings to the table but is it really love, It is important to set aside your ego and really ask yourself if you are better off without this person? This person may have a completely different idea about what love is, how long love last and when its okay to dump someone they once told, "I Love You"
Surround yourself with people you trust that make you feel safe. Spend time with a parent who loves you unconditionally, look at family albums and connect with the person(s) who make you feel better. looking at pictures of good times with family and or friends makes us feel better and realize the important things and people. DO NOT look at photos of you and the person that broke it off. It is important to feel love from someone who truly cares about you. You are hurt, crushed and in a lot of pain, it is very important to be with people who care about easing your pain and showering you with love and patience. Spend time with pets who love you unconditionally, pets make us happy and understand when we hurt, they help us feel better. Are they just breaking it to you gently? The truth is a person who suggest you "Take a Break" no longer cares about you the way they once did. In fact, maybe they never really cared for you at all or they are simply hurt, let down or bored with you. Bottom line is taking a break can be one of the cruelest things to do to another and the type of person who typically does this tends to use others, keep them hanging on just in case. The person may never have really loved you in the way you felt they did. In this case work on you, make it all about you. Focus on yourself, your life, how to get where you want in life and most importantly forgetting about the person who just hurt you so badly. Perhaps you did something wrong and know it. In this situation you have work to do. Give yourself a break, do not blame yourself. Many people blame themselves for the failed relationship because, well after all they are the one being dumped. Truth is blame doesn't really matter now, it helps in the future but now what you need is pain relief. Surround yourself with things, movies and shows that are light, nothing heavy or serious. Perhaps you did something to cause a breakup and yet still want to get back with the person in question. Depending on your offense, you must own up to it, admit fault and apologize without making excuses for the wrong doing. If you expect to save the relationship you must prove you honestly love this person and that you can be the person they fell in love with in the beginning. Most important you must figure out why you did what you did. Maybe your parents had a bad marriage and you are modeling their behavior. What ever the reason you must identify the problem, work to correct it and improve your relationship skills. You must be the person you were from the start, do what you did to capture their heart. Many times we pretend to be someone and thing we are not in order to catch the object of our affection if this is your situation do the following. Own up and be honest letting them know you were dishonest working really hard to be who you thought they wanted. Confess you will not be able to keep it up and only did what you did to catch them never intending to fall so deeply in love. You may go on to tell them you continue to love them but just can’t be the person you pretended to be but want to stay in the relationship. You must realize they have every right to dump you, probably should, and may in fact do so! If you don’t want this to happen you should try your best doing your part to make them feel valued. Do what you did to make them fall in love with you to begin with, be the person you were to catch them. Most importantly – Understand this will take time. The person breaking it off obviously has a problem with you as a couple and yet it may not be you. You must be considerate of their feelings and or the new situation popping up. Many time people have complications surface in their lives so significant they feel the relationship coupled with the new issues in their life is too much to manage. Did They Ever Care - If the person breaking it off with you does a complete turn around treating you in a way that is completely different and so painful it leaves you totally confused and in constant pain they are the problem. There is no worse feeling than to learn the person you have fallen in love with thinks of you as a challenge, a project and once conquered feels you are no longer worth the effort. In other words, a large number of people get in a relationship with someone because they feel it is a challenge, they need to prove they can catch you, make you love them completely and then dump you. this is a power trip for them and unfortunately a lot of people do this. These same people love to have others desperate for them. They love you begging to get them back, they want you falling at their feet. These people have little to no empathy for you when you are hurting so badly and trying to work things out, to get back together. You DO NOT want to be in a relationship with someone so arrogant and selfish, not to mention flat out abusive. To deal with the separation and fix things turn this around by being the version of you that made them fall in love with you, that is if this is who you really are, if not fess up and let them go, set them free! Work on yourself refreshing the person they fell in love with. What was your hair, body, and attitude like in the beginning. Some people let themselves go in a relationship and it is a deal breaker for the vast majority of society, yes really looks and personality are important. Make yourself over into the person you once were. People slowly fall out of love for many reasons and over time not saying anything to their partner till they are sure, it is the final straw. Unfortunately this is not communicated while the person is considering the long term abilities of your relationship until they break up with you and then rarely do they elaborate and why, because it happened gradually for them. Avoid the person who broke up with you or dumped you. If you are constantly texting, posting dump sappy messages It makes you look desperate and no one wants to be with anyone who is desperate. It makes you look easily attainable, this is no challenge nor does it make the other person think of your good qualities. It validates the break up for the other person making them feel better about the break up because you are acting like someone they would never date or be with. It does not make them MISS YOU! You have got to make them miss you, feel the absence of you they requested and hopefully they will regret it, second guess themselves. What happens when you miss someone? 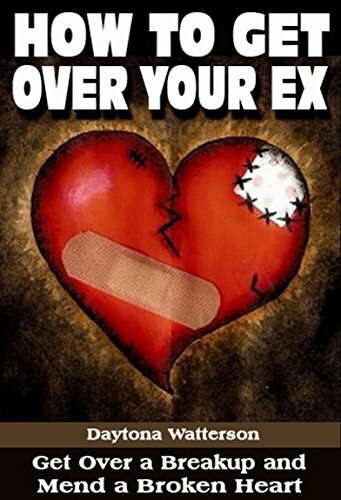 You think of all their many wonderful qualities, just as you are now thinking about your ex. now! You need for them to think about your good qualities, feel the void of your presence and miss you. A person cannot miss you if you are in their face, their lives and a constant reminder of the break up. You do not want the focus to be on desperate and crazy behavior which only makes them feel the break up was for the better, you want their focus to be on the good times, what they just gave up! True love is the only way you can win at the game of falling in love, it thrives in truth, never lies or deceit, anger, rage, obsession, compulsion, and hurt. VITAL - Be who you once were, the person they fell in love with. While working on yourself, keep your distance from them. It is so hard to do this because of texting and all the many social sites especially when you witness their activity on a daily basis. Put the phone away, avoid contact with them. Put your phone in an inconvenient place making it impossible for you to pick up the phone and check postings, activity and then text or respond to what you see. While in a relationship we are constantly in touch with our significant other. When a break happens we habitually want to maintain this contact. It is a habit and a ritual. You must break this ritual. If you do not you will become a BIG problem for them or a pain in the neck for the person you are trying to win back, this defeats the purpose, RIGHT? Of course! You cannot bother this person. Ultimately you regain your strength and self-esteem while working on yourself realizing you do not want them back anyway after all did they ever really appreciate you? There is nothing worse than feeling unwanted, unloved, so why not wait for the special someone who would never do that to you. 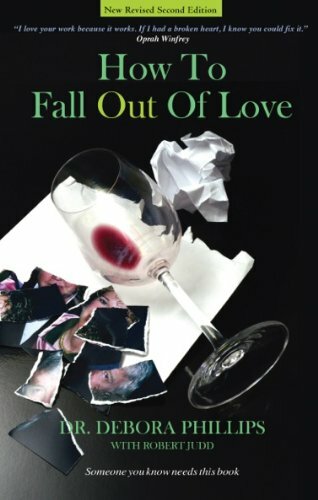 Is it over when someone falls out of love? Is it worth working at when someone falls out of love? No it's up to the individual you cannot force someone to be in love with you, it should come natural. Almost anyone can be both irreplaceable and replaceable. It helps to work to keep oneself in love with the other and vice versa. But that may not be enough. Have you ever tried to make someone fall in love with you again or had someone do so to you? DerdriuMarriner, Relationships are something many of us could learn a thing or two about. katiem2, Very helpfully arranged and insightfully presented. 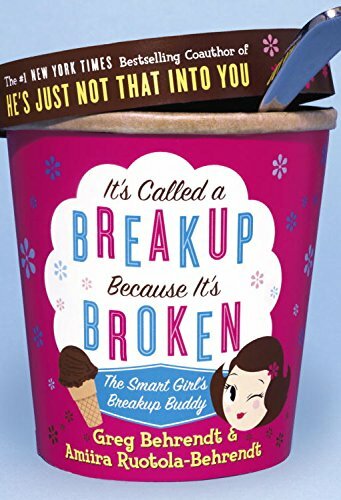 "How to Fall out of Love" and "It's Called a Breakup Because It's Broken" look the most interesting of all the very fine books you've included. 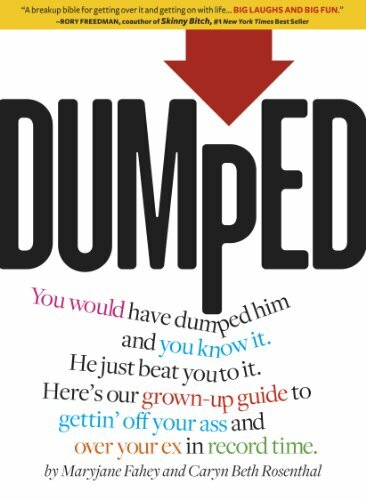 In particular, I like your points about how the person who is dumped is way behind -- but needn't stay that way -- the dumper in terms of getting everything "worked out in their head" and about how retrievable or unretrievable the relationship is depending upon the ways that the dumper carried out the breakup and that the dumpee reacts. Some relationships can rebuild and others cannot and even sometimes should not. Right. Great points. Some people just don't put in the effort of helping with chores, etc. (not to mention the good stuff). Ask me about men here in Romania. Too many of them leave all the housework on their mother/wife. It's so terrible, and so hard to live with someone like that. Mira, Good point the idea is to be good to the person you love, put forth effort and be involved doing your part and being involved not letting them go by the wayside or slack on your own responsibilities letting your partner take up your slack, or taking advantage of the fact you have a significant other to help you in life's day to day chores etc. Falling out of love is difficult for both parties. It's easy to be sure it's over once you know the signs you're falling out of love for keeps.